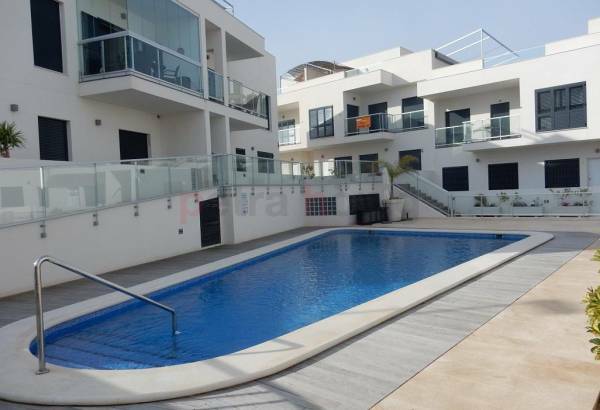 2 bed townhouse property over looking the community pool situated only 400m to the beach in La Mata, Costa Blanca, Spain The property benefits from a solarium which has lake views, and with a further 2 terraces to make the most of the sun. 2 bed townhouse over looking the community pool only 400m the the beach. The property benefits from a solarium which has lake views. We are in mid-April and the heat is beginning to be the daily climatological protagonist. 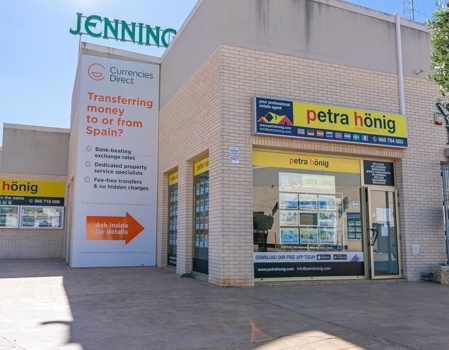 If you are thinking of buying a property on the Costa Blanca South to enjoy this fabulous climate, our real estate agency offers cozy townhouses for sale in La Mata. We have 11 fantastic townhouses so you can access the one you like the most. Similarly, in our catalog of townhouses in La Mata you can see different styles of housing. We have resale and first hand homes, two different formats so you can decide which can be the best way to enjoy your vacation or retirement. Within this decision section, our real estate agents will act as advisors to help you throughout the development of your choice. It is a key role for customer satisfaction. Being able to offer the best property will mean that the possibilities of enjoyment will increase. Example of one of our townhouses for sale in La Mata? One of our townhouses for sale in La Mata is a newly built property located in a quiet area of the city. Its location is perfect to contemplate beautiful views of the beach of La Mata. If you want to be able to wake up or go to bed every day, observing a wonderful maritime landscape, this type of townhouse is your solution. Also, in addition to enjoying wonderful views of the sea, you can access it just a few minutes. The distance between the property and the beach is 300 meters. Similarly, if you love nature, you can discover Las Lagunas de la Mata, a natural place a few kilometers from the townhouse. Inside, the property has 4 bedrooms and 4 bathrooms. In addition, it offers a modern pool to refresh and have fun with your loved ones. 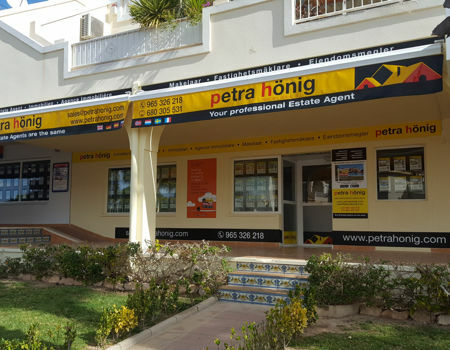 Contact our real estate agency to buy one of our fabulous townhouses for sale in La Mata. We have 3 offices, one in El Raso (Guardamar), one in Ciudad Quesada and another in Villamartin (Orihuela Costa). 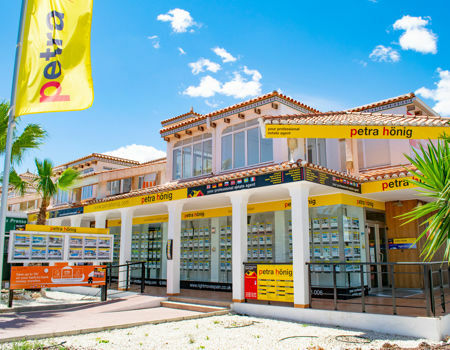 You can go to any of these venues to meet our agents and get more details about our townhouses in La Mata. You can find in our contact section, the different telephone numbers to call us by phone and ask us any questions. 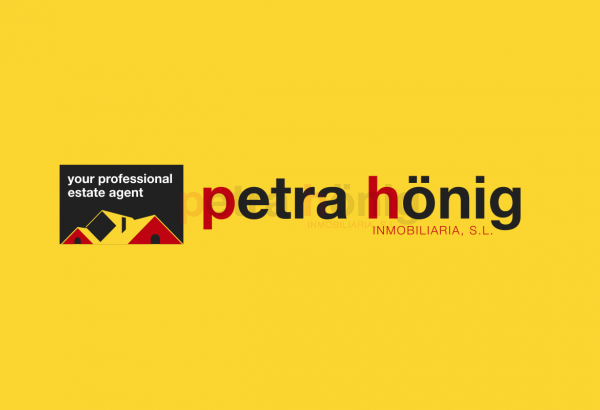 You can also do it by writing an email to info@petrahonig.com.